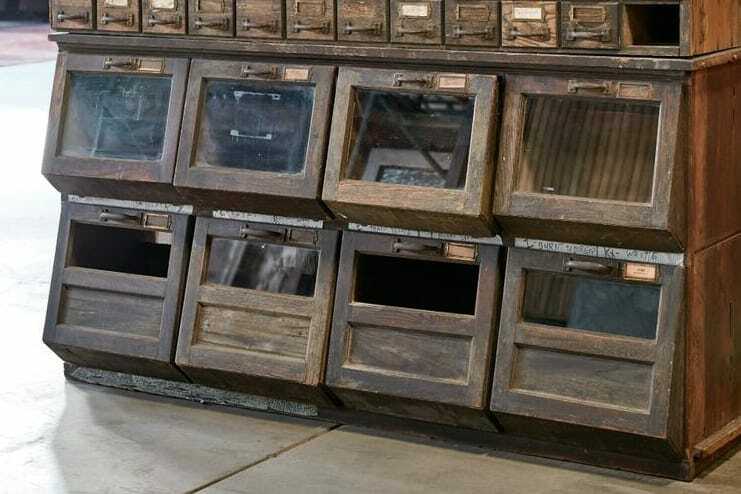 Nuts, bolts, and gardening supplies once filled the Beatrice cabinet. 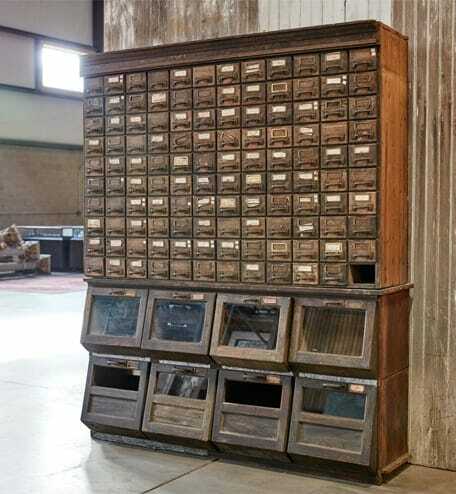 Charming and compact, it features small drawers outfitted with sturdy metal handles and name plates. 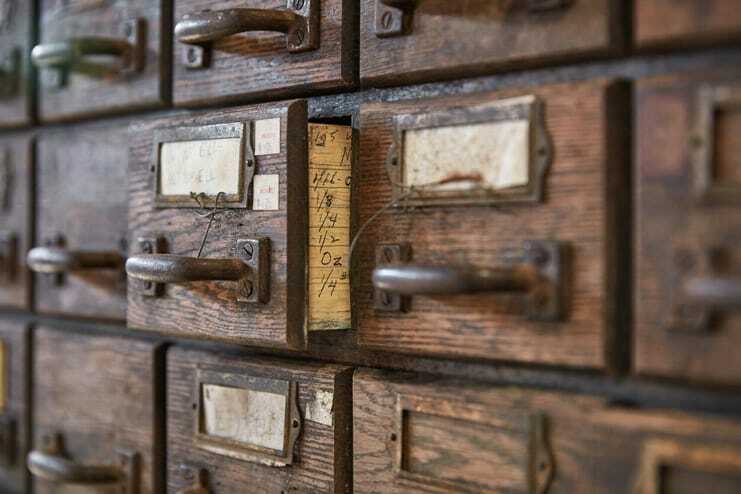 (Pull open the drawers and you’ll see handwritten calculations scrawled on the wood.) Glass plates grace the front of the bottom bins offering a glimpse of whatever contents you decide to place inside.